Leverage the power of one-to-many while you get highly visible, serve more people, and generate big waves of new clients…. when you host your own workshop. Imagine being able to give a talk, with a simple offer for your one-day workshop where everyone can learn more. The first time I did this I walked INTO the talk flat BROKE, and left with $3,000.00 in my hot little hands. Woohoo! THIRTY people said “YES!”, bought a $100 ticket, and that was the day I understood how fun & profitable it could be! Then, I decided to make an offer at the workshop too, and that added 3 new coaching clients & another $15,000.00. Not too shabby as a way to get started. And today our live events net multiple six figures. 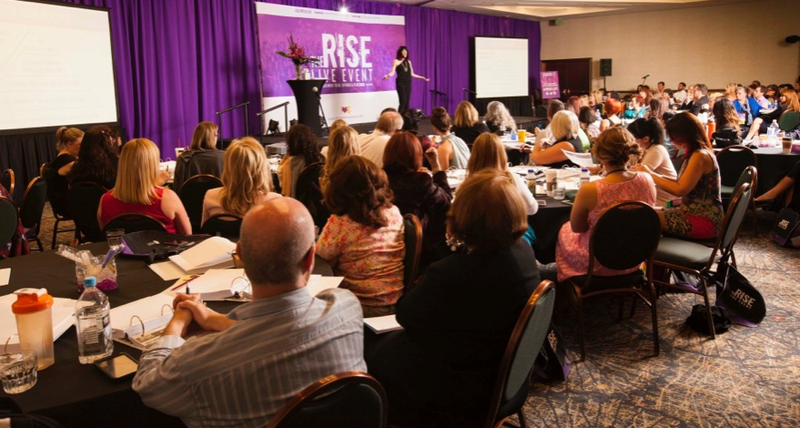 Now I want to show YOU how to use the power of workshops to grow your biz too! Worried it can’t be done on a budget without looking cheezy? Ever wondered how to create your content, map out your day… and make an offer? Worried about how you’ll fill your workshop & get butts in seats? Join me for WORKSHOP-a-PALOOZA and I will walk through the simple how-to for rockin local workshops that can truly rock your biz. This information is easily worth thousands to your income, but we just want to help you get started! The perfect next step to session one, Kristin gives you 11 simple ways to assure that your workshop is NOT just you and your mom and your best friend. You get lots of ideas to choose from to sell your workshop out, and soon you’ll be able to say you’re room is FULL! 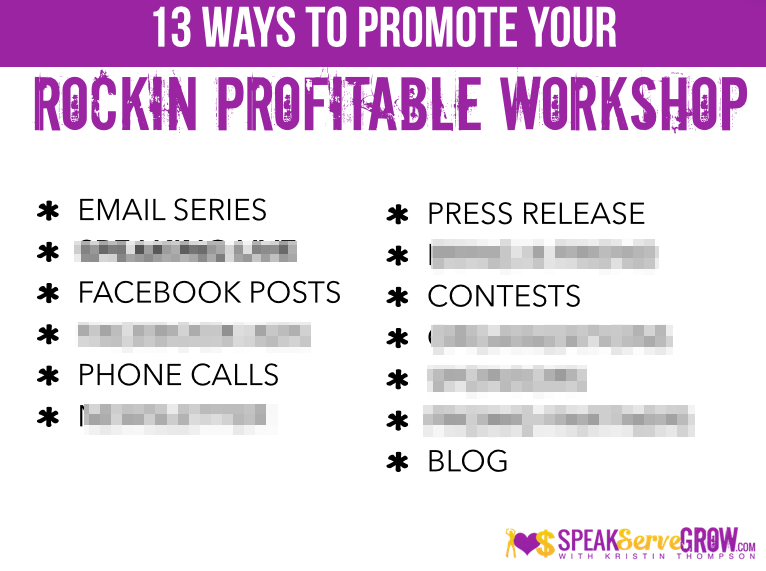 How to power up your profits & your visibility with workshops! 11 ROCKING ways to get butts in seats & sell out your room! The simple secret to squash “no shows” & assure you have a full room! The secret to leveraging the “free ticket” strategy, without eroding the value of your workshop! The simple way to pay for workshop costs & fill the room at the same time! THE TOTAL VALUE OF THE PROGRAM IS $397.00. 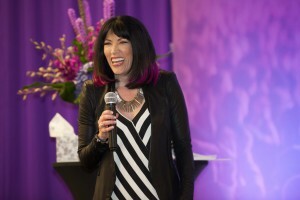 But now I’m going to sweeten the pot to help you really rock this out by giving you an additional deep dive training straight out of the Rock Your Talk & Biz Club! Woohoo! 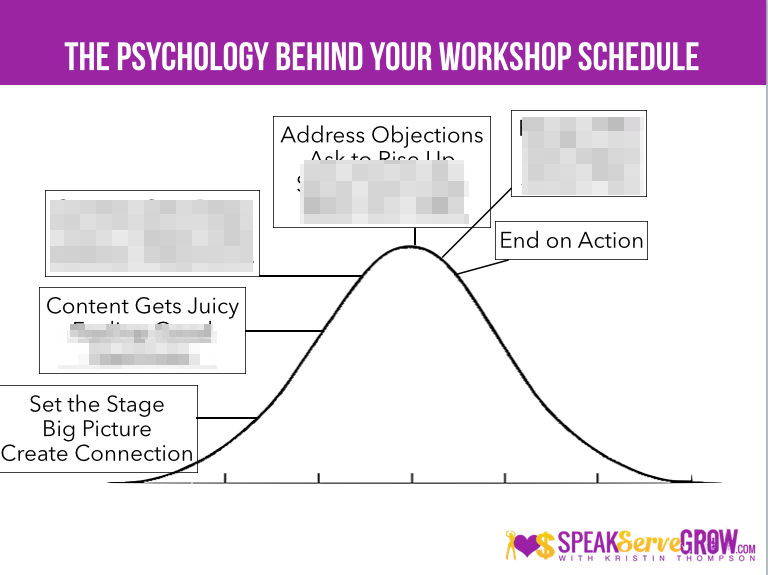 Why your workshop planning has to start with your offer. 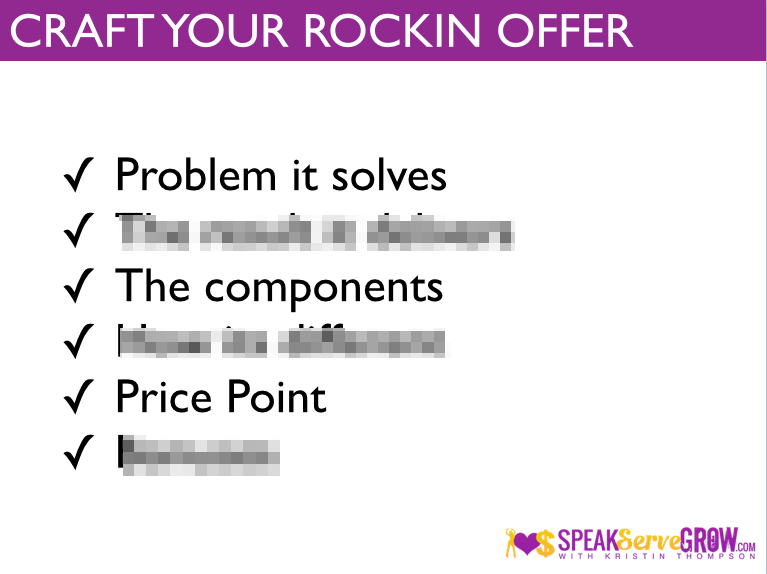 How to turn your offer into a ROCKIN PACKAGE that will fire up workshop sales & get people running to back of the room to buy. A simple, REASONABLE budget that ANYONE can use to launch a great local workshop. The psychology of the sale. How to map out your content so that it leads comfortably into your offer. Sometimes you want to sit in the audience and learn. And sometimes you need to RISE UP & ROCK YOUR WORKSHOP! BUT ITS ALMOST LIKE I’M GIVING IT AWAY FOR FREE. 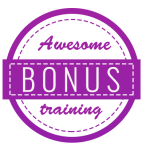 THE TOTAL VALUE OF THE PROGRAM & BONUS IS $591.00.